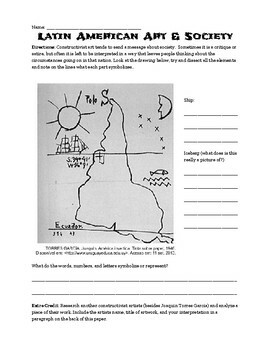 This worksheet guides students to analyze a drawing by Joaquin Torres Garcia and interpret the meaning behind his South American iceberg. It also has an extra credit question for students to explore other artists. Great for a do now or exit ticket!